Aquarius is one of the hardest signs of the zodiac to understand. 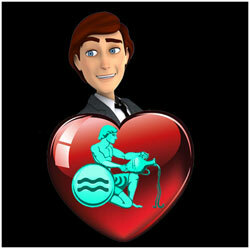 Aquarius are often felt to be unfathomable when in reality they live almost entirely on the surface. Aquarians will not reveal their innermost feelings no matter how hard others may try to persuade them, simply because they are unable to do so. People of this sign have a reputation for being enigmatic, difficult to understand, and different from everyone else, and cleverly play on this to gain power and attention. They are extremely friendly yet detached at a personal level, sociable in large gatherings, but unsociable at smaller meetings and parties which require greater intimacy. They are helpful and compassionate when involved with charities or group activities. Astrologically speaking, the Aquarians are found to be free and independent and like solitude. How well can they enter into a compatible relationship with their partners? However they have some rare characters that attract them to potential compatible partners for life. Aquarians are known for their humanitarian deeds and would find it a little difficult to settle down in traditional domestic life. They do not believe in the concept of a family and being bounded to it. Also their partners generally complain that they care far more for the world than themselves. 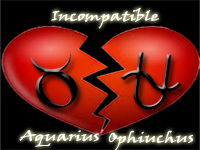 This brings in periodic bouts of incompatibility in the relationship with an Aquarius native. 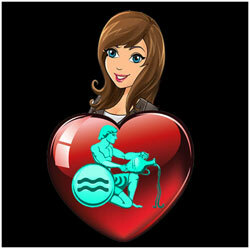 Aquarians do not believe in love, romance and running around the bush with their partner. They want a good meeting of their mind and soul to travel this life together in hard times too. Certain sun-signs that depend on an explicit show of love and affection like a Cancer or Pisces would be affected tremendously if they land up in life with an Aquarius. On other hand the Aquarians have the capacity to gather the left-outs of the zodiac signs and change them into someone compatible enough for them. Aquarians being aloof emotionally would save a thousand souls in the outside world but find it difficult to get along with just one personal soul at home. However potential partners be noted that you have a great and wonderful life ahead. Every day would be different in your life with an Aquarius. They are an enigma for you to explore. Romance and emotions have no meaning for an Aquarian. They just have no inhibition about having multiple affairs and dates. They do not mean any hurt for their partner but just take it in their stride. Fidelity would be out of bounds for some Aquarians out there. Partners need to be beware of Aquarians as to when they start to control him or her they are likely to stray to exhibit their personal freedom and choice. As for the elemental analysis, the air signs would get along well with you as you are an air sign as well, however where you both meet would be a question unanswered. The fiery signs cannot get into a compatible relationship with an Aquarius as they are too fierce, impulsive and selfish. The earth and water signs also seem incompatible with an Aquarius as they cannot understand the freedom and independence being asked for by the Aquarius. An Ophiuchus is not compatible with an Aquarius personality. The simple reason being Aquarius is highly emotional and moody and this gets on the nerves of the Ophiuchus native too much. They are so busy in their own world that they have no time to look into the feelings and moods of their partner. Hence this combination is unlikely to work in the long run.